Chances are that you have heard the term ‘GDPR’ at least being spoken about in hushed tones in the office kitchen or read snippets of news about it whilst browsing online. It’s true that many people are still not aware of what GDPR actually is and what it will mean for their business in 2018. If you haven’t read too much into it until now, we’re here to give you the top facts — the information you really need to know about GDPR. GDPR stands for General Data Protection Regulation. This new legislation marks the biggest change to European data protection rules in 20 years, and it will change the way that organisations, businesses and individuals handle customer information. What will GDPR mean for your business? GDPR will come into force on 25th May 2018 and will replace the 1995 data protection directive. Companies and organisations, as well as individuals processing or controlling customer data, will be impacted by this new legislation. GDPR will apply to all sensitive information including things like name and address, sexual orientation, religious information and genetic data. Under the new legislation, individuals will have the power to request what information a company holds on them, which means businesses will be under pressure to become better at data management and a new fine regimen will also apply. An individual will be able to request access to information held on them by companies and organisations and the business will have one month to comply. GDPR doesn’t just apply to identifying information, the new act will also cover pseudonymised data, that is, personal data that been replaced with pseudonyms or artificial identifiers. For example, replacing a customer name with a unique identifying number in a database or file. 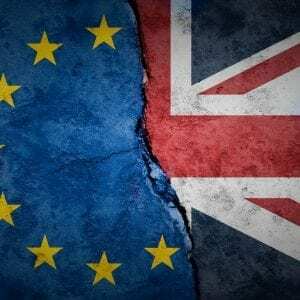 Will GDPR legislation still apply after Brexit? Many people haven’t taken the time to read up on GDPR as they wrongly assumed the legislation would not apply after Brexit. In actual fact, Brexit will not affect GDPR and the UK will still follow the legislation. The new legislation will mean changes to data management processes and most companies and organisations will be affected, particularly those holding customer information on file. Will you be ready for the GDPR in May 2018?